Ever wondered what the dark, secret side of your city looks like? I do all the time and love to read mysteries set in Toronto like those written by Maureen Jennings, Vivian Meyers, and Pat Capponi. 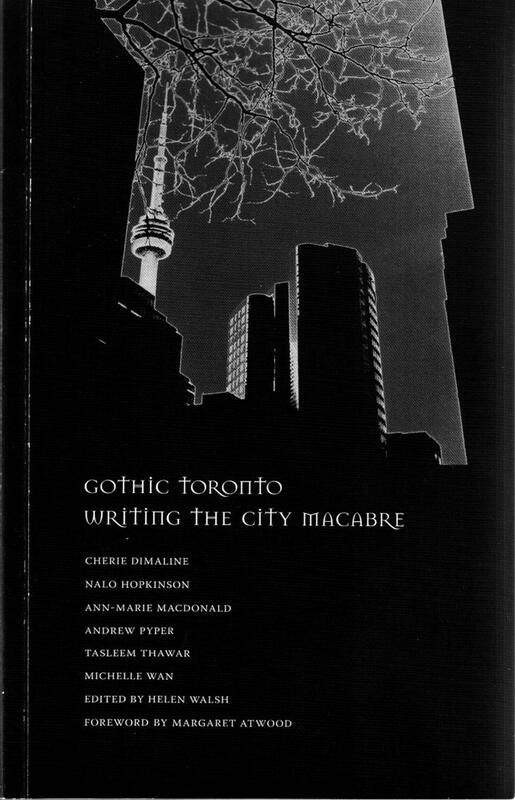 So when I saw that one of the Luminato events was called Gothic Toronto: Writing the City Macabre, I knew I had to attend. While waiting outside for the doors to open, I picked up one of the chapbooks for sale at the event and was delighted to get my copy signed by each of the authors present. The readings took place in the Music Gallery, a onetime church in the heart of downtown, and its glowing stained glass and small dimly lit nave set the mood for the readings. Let me share with you a small bit of each writer’s story and leave you some linky breadcrumbs to follow in case you want to read more of their work. She sighed, shook off the questions and settled in at the desk to get her filing done. She couldn’t remember when shed last gotten to it; the memory refused to bob to the surface. She built a pulpy fortress around her out of stacks of creamy paper, thick and damp like sheaths of discarded skin. There was a full moment when my brain tried to figure out what my body was troubled by. I wondered, over the course of a second of two, if I was coming down with the flu, or about to sneeze. And then, before there was any reason to be afraid, I was. I found Mary being swallowed up by a Victorian armchair in a lonely corner by the window. I’d been mistaken earlier. She was, in fact, rather attractive—younger than she had seemed, and her hair was a soft, pale blond, not the stringy white reminiscent of my mother’s. Michelle Wan, author of the Death in the Dordogne series of mystery novels, couldn’t attend the reading, but did read her story for us via Jason Lapeyre‘s spare and chilling video. It really was a fantastic event—kudos to Luminato and Diaspora Dialogues for making it happen. And, in case you’re interested, limited quatities of chapbooks may still be available: you can contact Diaspora Dialogues to find out.